Dear Kids, I broke the news to the Santas and the Snowmen today. Told them–ever so gently–that you would not be coming home for Christmas this year. You would never believe what happened next! 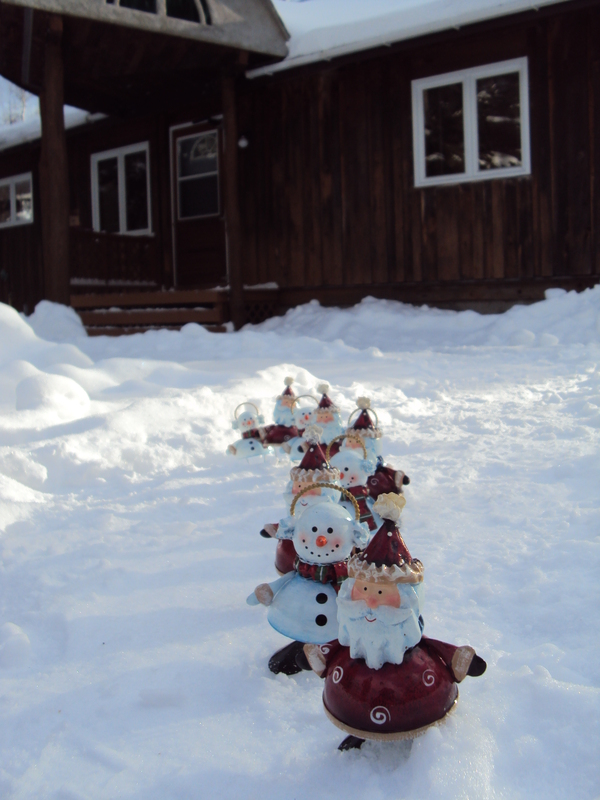 They jumped off their tic-tac-toe red and white Christmas board and marched toward the front door. Every last one of them. We stood shocked in disbelief! What were the Santas and the Snowmen going to do? And they're trudging through the snow! We know, don’t we, that these particular Santas and Snowmen have a history of unpredictability. They are always doing something wild and crazy. Ever since I won them in that Christmas raffle at Aura a few years back, they have been keeping us on our toes! Odd things happen all the time, don’t they? Then remember how every year the darn fellows appeared somewhere else? One year they climbed near the ceiling and sat way up high near the plants. Haven’t they been discovered in the bathtub, in the refrigerator, and a half-dozen other crazy places? Maybe they’ve even been outside before. But I wasn’t expecting their behavior this afternoon. They simply all stood up and silently marched outside. The reindeer are missing you guys already. Down the porch steps they marched in single file. Out into the snow. Toward the cars! Were they deserting us forever? Just because you both aren’t coming home for Christmas? The very first Christmas when BOTH of you won’t be with us? I tried to get the leader to talk. He was a Santa. “Where are you going?” I begged, “Please come back!” But on they marched. “Next year maybe they’ll be home for Christmas!” I hollered after them. They refused to look back. Perhaps they are walking to Manhattan and San Diego. Perhaps they have booked airline tickets. It’s hard to say what these Santas and Snowmen will do. I just wanted you to be the first to know that you’re obviously going to be very much missed this year, you kids. Even the Santas and Snowmen think so. Oh, how absolutely priceless, Kathy. Laughed till my belly hurt, and then was all teary-eyed over the sentiment – the knowing of how it feels not to have your baby birds home for Christmas. What a wonderful way to express it all through the Santas and Snowmen (and use of family history). Aren’t your kids just the luckiest to have you for a mom? 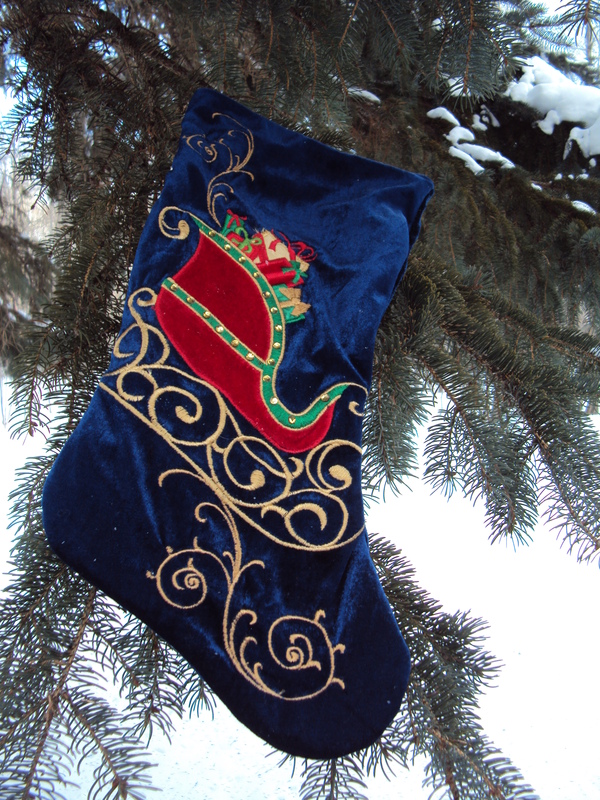 Hoping their strong spirits will blanket you during this holiday time …. so that you feel them with you …..
You are silly Kathy, just the way I like you. (HUGS) Nothing like a hint, hint to the kiddos that you are going to miss them. I bet they will miss you too. I too loved the artsy photos that went with your story. Hi Kathy, sure my mom is saying the same thing like you do, and sure your siblings are asking “why cant they be home for Christmas, the same question I am asking myself too? sad all three of us are miles away from our mom. But surely even far far away with our loved ones, we know that we are in their hearts and them in ours. 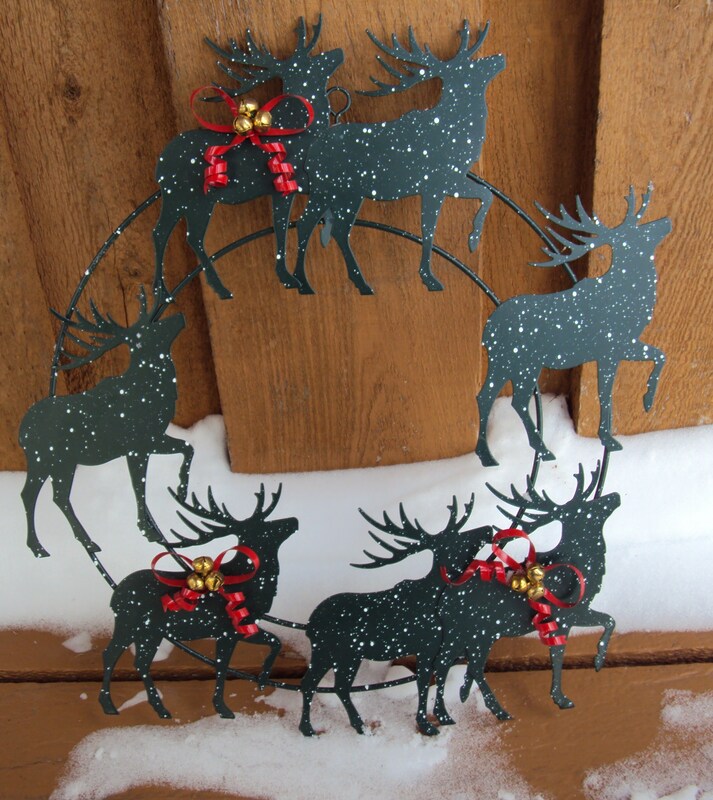 Those santas are a sure hit but I like the reindeer wreath you have there too. Ah, so they are your santas and snowmen and women……..I saw them early this morning marching down my neighborhood street in Cincinnati Ohio….indeed, they looked as if they had a mission to accomplish and knew where they were going!!!!!!!!!!!!!!!!!!! Now I know they came all the way from the UP!!!!!!!!!!! I hope they head east! But…are you sure they didn’t jump up in protest when you told them that YOU wouldn’t be home for Christmas this year? 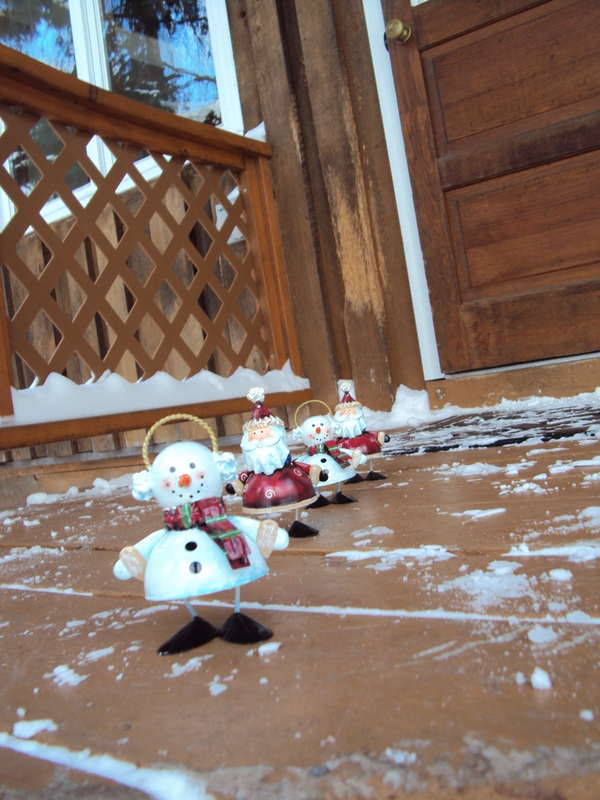 What an absolutely adorable post….and what fun you must’ve had marching the Santas and Snowmen around your yard! I can just see you gleefully lining them up and snapping away! 🙂 And I love your past adventures with the little guys…..thanx for sharing! With your one-year blog coming to an end….what’s next….a reality show on TV? What are you scheming for the final day? a publicity stunt of some kind ? You can’t send up a balloon, that’s already been done…..abominable snowman siting, perhaps? I for one was instantly teary-eyed. Because I know how hard it is to not be all together at Christmas. Maybe the kids will take the hint? Or you can fly to one of them? My folks did that one year that I wasn’t going to Alabama. Just called me and said they thought I sounded lonely and they were on their way up! What a nice surprise! I wasn’t sure whether to laugh or cry so I did a bit of both. I sure get this even though ours will be home. Yesterday we went to get the tree without them which was weird enough. A big Montana hug to you from one mom to another. 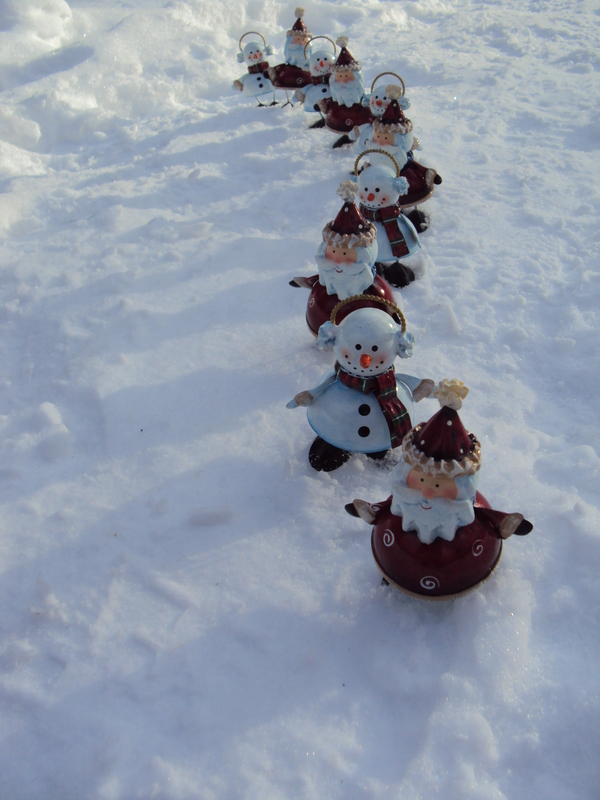 I like the way they march one after another in rhythm… snowman/santa/snowman/santa/snowman/santa… Christmas decorations can’t help themselves I guess. They’re all about patterns. Having our children around us at Christmas is a pattern that is hard to stop. But it’s only decoration that you have them home together with you. External eye candy of the sweetest sort. What’s most important is that you carry their hearts in yours wherever you spend your Christmas. Oh yes, Amy, it was very important for the Santas and Snowmen to march in proper pattern. Very important. Oh are we carrying the two kids in our hearts this Christmas! That IS the most important thing, you are right. Amy – you always have such words of wisdom. These soothed my heart….thank you. Are they both coming home this year?!?!?! I suppose it would be nice to answer this question for you! No, not both. Kiah is coming home next Tuesday (just in time to nurse her mama.) Chris isn’t coming this year. But we got to see both of them in July! A blessed year! Thank you, Colleen, for coming over here to “see”! You are so precious. yet another visitor laughing AND crying . . . our first christmas eve in 40 years not celebrated with hubby, 5 kids & 2 grandbabies. heart stretched way- way wide open to hold them ALL ❤ thank you, kathy ! I can imagine your heart stretched open THAT wide, Victoria! Christmas hugs to YOU! Awwww…..I’m sorry the kids weren’t coming….must have been a quiet Christmas!